Offer: Complimentary glass of wine with the purchase of an entree. 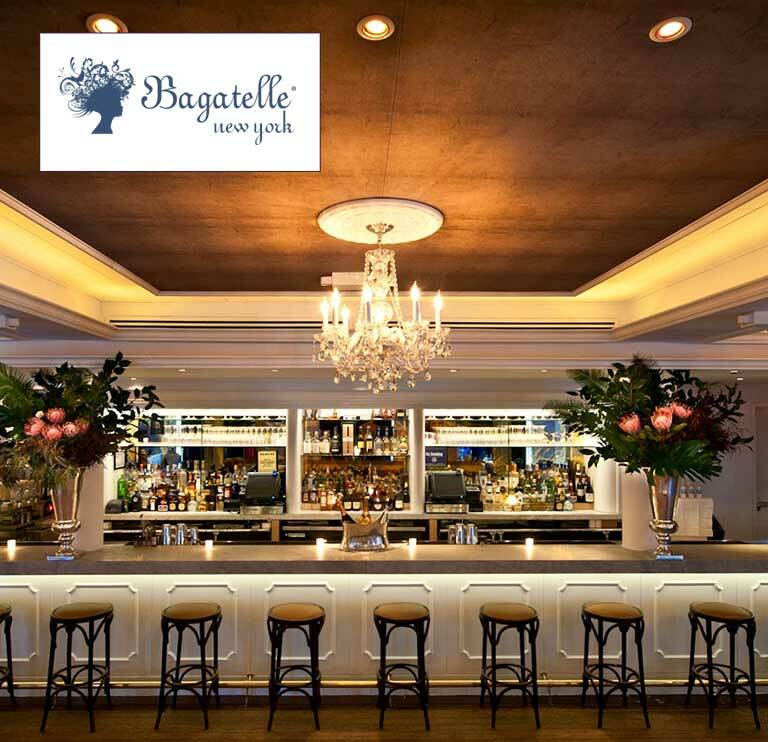 Widely recognized as a Meatpacking District staple and NYC institution, Bagatelle New York continues to thrive after nearly a decade in the neighborhood, reminding guests daily of the unique and magnetic ambiance that made it famous. The esteemed restaurant destination was originally designed to reinvigorate the neighborhood and bring the European flare back to the Meatpacking District, and continues to delight diners with unmatched service and outstanding French Mediterranean cuisine. Offer: $10 off any purchase of $30 or more. Expires 3/31/17. Buca di Beppo is an authentic Italian restaurant that offers fresh and flavorful dining in an eclectic, vintage setting. Dine with family, friends or co-workers while enjoying the Italian traditions of food, friendship and hospitality. 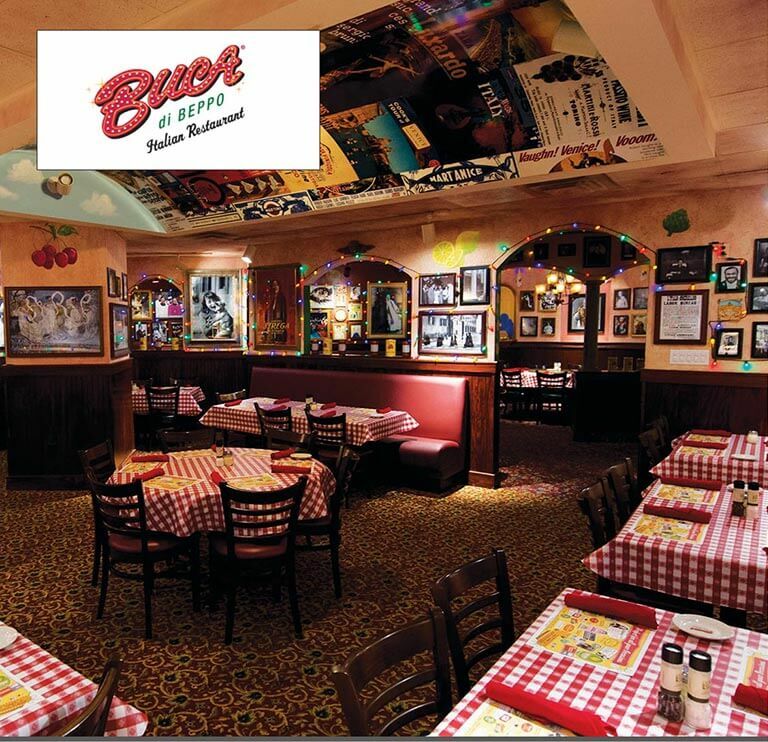 In the spirit of Italian culture, Buca’s dishes are served family-style, meant to be shared by everyone at the table. Buca Small feeds up to three and Buca Large feeds an average-sized country. Well, actually it feeds up to five. Offer: Complimentary glass of wine or prosecco with the purchase of an entree. Haven Rooftop restaurant and lounge has established itself as the premiere rooftop destination in the city, boasting unparalleled views of the Manhattan skyline, a French inspired menu created by Chef Madison Belem and an innovative cocktail menu of fresh libations from award-winning mixologist Isaac Grillo. 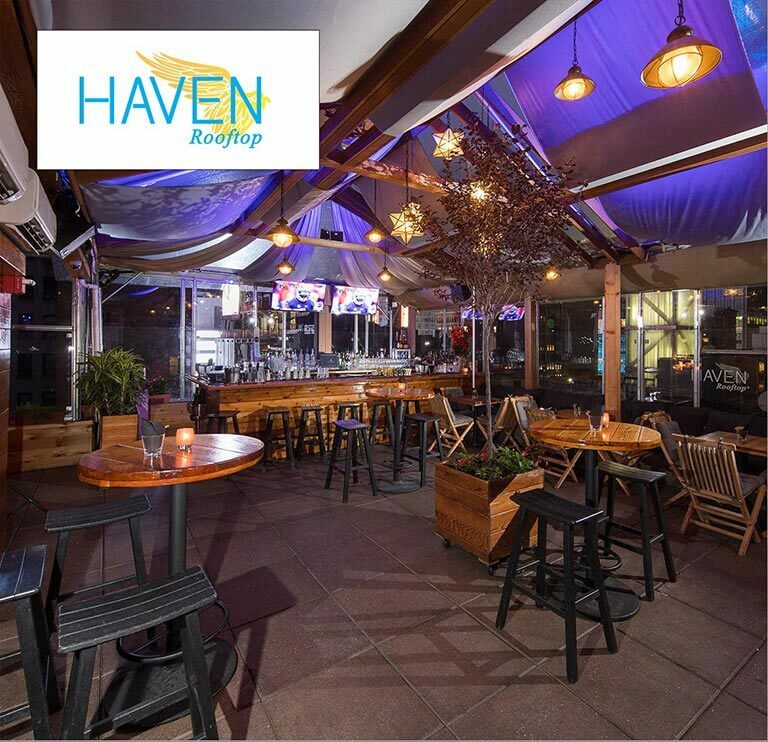 Haven features various dining areas and intimate nooks where guests can indulge in food and cocktails while enjoying the bright lights of Times Square. The year-round rooftop transforms its design with the seasons, making each experience there a unique and memorable one. Haven offers 2,500 sq. ft. of event space, with plush seating areas & intimate cabanas, creating a sultry and inviting aesthetic. Whether for after work cocktails, a post-theatre dinner or special occasion, Haven is sure to impress. Offer: Enjoy a free glass of house red or white wine with purchase of entrée. 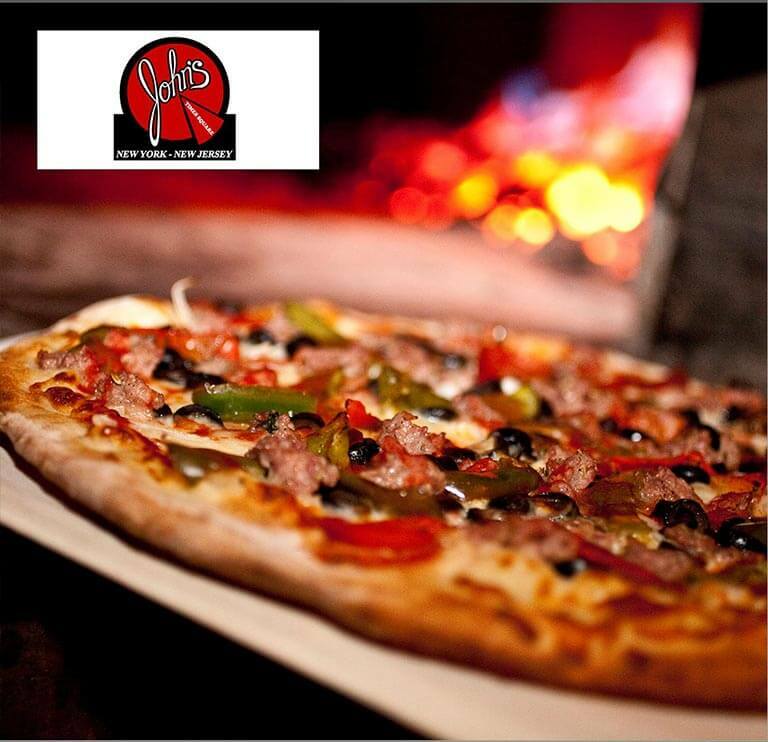 Two free glasses of wine with purchase of small or large pizza. Limit one glass of wine per valid ticket per person. Ticket valid on date of show. No substitutions. No reservations required. Valid for parties of less than 6 guests. No expiration date. Located in a unique 19th century church, the country’s largest pizzeria is the perfect budget-friendly location for small and large groups to enjoy NY’s famous thin-crust, brick oven pizza. Founded in 1997, the John’s is conveniently located in Times Square, and is the ideal restaurant to enjoy pre- and post-theater meals with family and friends. Capable of seating 400 people, John’s of Times Square can handle groups of any size gracefully in a NY minute. Offer: Please come in and enjoy a complimentary glass of wine (up to $16.50) with the purchase of an entrée. No expiration date. Palm West, located in the heart of the Theater District, has been entertaining the likes of the Broadway community and New Yorkers for the last 17 years. Please take a seat at the Nation’s longest family owned and operated white table cloth restaurant. 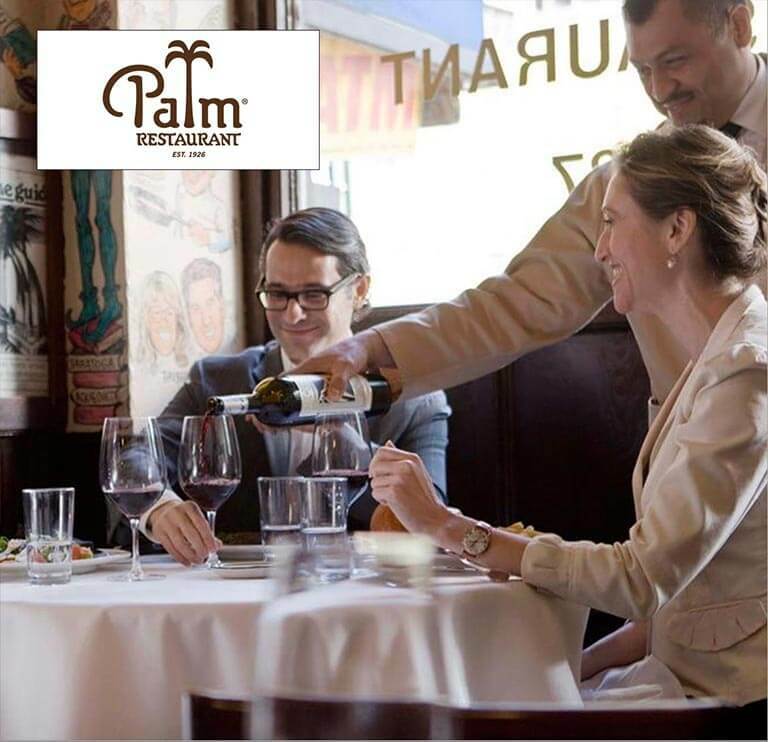 Join us for lunch, dinner or late night at The Palm Bar. Tender Steak & Sushi Restaurant, located within the Sanctuary Hotel, is Midtown’s most exciting dining destination, with 2 distinct experiences to indulge in. 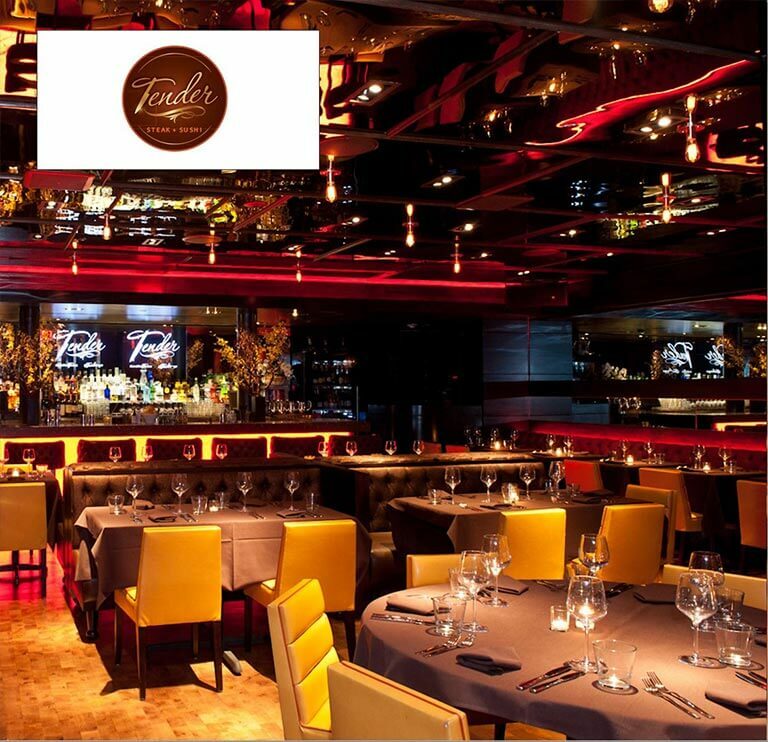 The main restaurant at Tender features Modern American cuisine highlighted by premium cut steaks and world-class sushi. Tender Bar & Grill offers an upscale sports bar experience complete with elevated pub-style fare along with Tender’s signature sushi dishes. Guests can enjoy delicious food & hand-crafted cocktails from award-winning mixologist Isaac Grillo in a glamorous and eclectic ambiance created by acclaimed designer Josh Held. 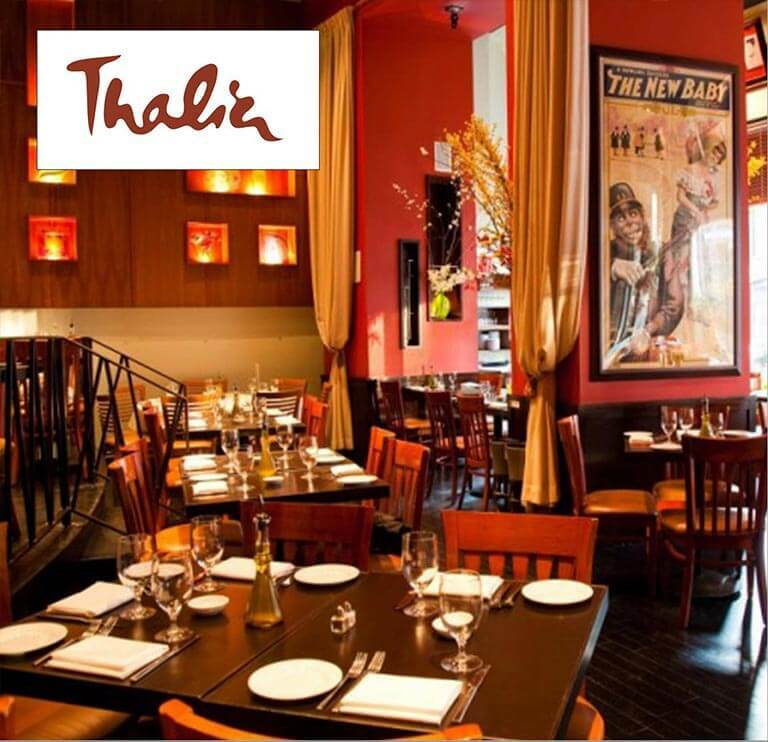 Conveniently located in the heart of New York City’s bustling Theatre District, Thalia is one of the leading New American restaurants in New York and beyond. Thalia’s interior features a dining room with soaring ceilings and a dramatic color scheme that reflects the theatrical sensibilities of the surrounding area while paying tribute to Broadway’s storied past. A large elliptical bar is surrounded by a cozy and romantic lounge offering an impressive wine list and inviting environment. Craftily made cocktails and candlelit atmosphere make Thalia a wonderful place to spend a special evening.